Want to learn how you can watch the MLB online without a pricey cable TV package? Click now to learn about all of the best legal MLB live stream options! YouTube TV is your best bet for getting local and national MLB coverage. PlayStation Vue gets you a lot of MLB access for you to enjoy. DIRECTV NOW gets you MLB coverage and tons of other channels. Have you fully recovered from that bonkers World Series between the Houston Astros and the Los Angeles Dodgers? Well, we hope so, because it’s all starting once again. Finally, spring is rolling around the corner, and it’s time to focus on how you’re going to watch the MLB online. If you’re looking for the best way to stream the MLB online, it’ll really depend on your location. Generally speaking, most major streaming services do a good job covering local sports affiliates and national TV games. But there are a few exceptions. Take a look at the table below, find your favorite team, and make sure you can stream your local sports channel in your area. Hopefully, you now have a better idea of what providers stream baseball in your area. So let’s talk about watching all those nationally televised games. Listen up, Yankees fans and Giants fans—your games will be featured on national TV quite a bit. With all those things considered, let’s break down your best options for streaming MLB online. Our main criteria are regional and national availability, but we’ve also factored in the overall quality of the streaming service. Here are our rankings for your best options to stream MLB games. We would’ve loved to give YouTube TV our top spot, but we had to ding it for the lack of MLB Network. You can try out YouTube TV and watch the MLB online for free with a 7-day trial. YouTube TV offers one streaming package for $39.99 a month, and it hooks you up with everything you need to watch baseball. It may not offer as many channels as DIRECTV NOW or fuboTV, but the overall package is great for the price. Along with your regional networks, ESPN, FOX, FS1, and TBS, you’re getting over 55 other channels. We should also mention that YouTube TV has the most local coverage of any streaming service, so you aren’t likely to have a problem watching baseball on your local network. How does YouTube TV look streaming MLB? If we had to rank the best streaming service in terms of picture quality, it would be a two-way tie between PlayStation Vue and YouTube TV. We might even give the slight edge to YouTube TV. It’s not that YouTube TV magically takes a bad internet connection and spits out a picture-perfect stream—it’s just that YouTube TV does more with whatever internet connection you may have. For example, we tested YouTube TV with an internet connection of 15 Mbps, and it made us feel like we had killer seats to the baseball game. YouTube TV also comes with unlimited cloud DVR, so you can record as many games as you want. This comes in handy when you consider that there are literally thousands of MLB games over the course of a season. One major setback with YouTube TV—currently, you can only stream baseball on your TV with Apple TV or Chromecast. Hopefully YouTube TV adds more compatible devices, but in the meantime, that’s what we get.  PlayStation Vue covers all your nationally televised games and provides local MLB coverage in most markets. Plus, the streaming looks pretty great. You can try it out and watch the MLB online for free with a 5-day trial. To get all the channels you need to watch the MLB online, you should go with the PlayStation Vue Core package for $44.99 a month. It’s the cheapest way to get every channel you need to stream the MLB. Along with local coverage, ESPN, FOX, TBS, and the MLB Network, you get over 50 channels to check out. You have the option to upgrade your channel package if you want, but you won’t get any additional baseball channels. Why stream the MLB on PlayStation Vue? First off, if you’re the type of person that really cares about picture quality, you’ll probably love PlayStation Vue. We’ve tested all the streaming services, and PlayStation Vue barely edges out YouTube TV at the top of the list in terms of streaming quality. Second of all, we both know there are basically a million baseball games in a season. PlayStation Vue comes with unlimited cloud DVR storage, which makes watching all those games much easier. Don’t fall too far behind, though—your cloud DVR content deletes after 28 days. You can stream the MLB online using PlayStation Vue on the main streaming devices like Roku, Apple TV, and Chromecast. You can also stream on your PlayStation console (bonus!). DIRECTV NOW hooks you up with all the channels you need to watch the MLB online and throws in a lot of extra channels too. You can try out DIRECTV NOW and watch the MLB online for free with a 7-day trial. DIRECTV NOW has four different channel packages to choose from, but if we were you, we’d go with the Just Right package for $50 a month. You’ll get strong regional coverage and all the other channels you need to stream baseball games. Yes, it’s $5 more a month than a PlayStation Vue subscription, but you’re also getting more than 80 channels, around 25 more than PlayStation Vue. Some people like cutting the cord because they want fewer channels, but if you still like the sound of having a lot to choose from, DIRECTV NOW is a good fit. The downside of DIRECTV NOW is that it doesn’t offer cloud DVR . . . yet. DIRECTV NOW announced cloud DVR would be coming in spring of 2018, but there was no concrete date set. So if you decide to go with DIRECTV NOW, you’ll probably need to plan on watching the baseball games live until the DVR rolls out. With streaming quality, we would say DIRECTV NOW is solid but not as crisp as a PlayStation Vue or YouTube TV. If you have an internet speed of at least 15 Mbps, you shouldn’t run into any streaming problems. You can stream the MLB with DIRECTV NOW on Roku, Apple TV, Chromecast, and other streaming devices. You’ve probably heard of Hulu before, but did you know you can watch baseball on Hulu with Live TV? See for yourself with the 7-day trial—we recommend timing it so you can watch as much free MLB online as you can. How much MLB am I getting? Hulu Live TV has one channel package that costs $39.99 a month, and it comes with every MLB channel you’ll need except for the MLB Network. Lots of games are on the MLB Network every season, so having to miss those is a pretty big bummer. But if you can stomach that, you’ll probably really enjoy Hulu Live. What about the non-baseball channels? Your Hulu Live subscription comes with more than 50 channels to choose from. Oh, and you also get access to Hulu’s entire on-demand streaming library, which is pretty cool. If your team loses a close game, you can heal by bingeing episodes of Seinfeld, The Simpsons, or Brooklyn 99. What’s watching the MLB on Hulu with Live TV like? If PlayStation Vue and YouTube TV are on the top of the streaming quality list, then Hulu with Live TV would come in as a close third. We rarely experienced issues streaming MLB with Hulu. The only real difference was that there were a few moments where the stream slowed down and fell behind real time. If you are the type of fan who refreshes Twitter after every pitch, that can get annoying. Your Hulu Live TV subscription comes with 50 hours of cloud DVR storage. That may sound like a lot, but 50 hours can fill up quick when you’re recording a bunch of baseball games. You can upgrade to 200 hours of cloud DVR storage for an extra $14.99 a month, but who wants to pay that much extra a month? Another quirky thing about Hulu’s DVR—you have to watch commercials with your recorded content. Ain’t nobody got time for that. If you were to factor out the poor cloud DVR situation, Hulu Live TV would be much higher on the list, but we don’t believe in factoring things out. Sling TV is a cheap way for you to watch baseball, but the drawbacks may make you hesitate. You can try out Sling TV and stream the MLB for free with a 7-day trial. Is the price right for streaming the MLB online? Usually, Sling TV’s greatest strength is in offering smaller channel packages (Sling Orange and Sling Blue) for cheaper prices. Our problem when it comes to streaming MLB is that the channels we need are split across the two different Sling TV packages. In other words, to get all the channels we need to watch baseball online, we would need to pay for both Sling Orange and Sling Blue for $40 a month. Sure, you’re getting over 50 channels, including ESPN, FOX, FS1, and TBS, but the lack of MLB Network and local sports networks makes Sling TV hard to recommend for streaming MLB online. How does the MLB live stream look on Sling TV? Sling TV isn’t quite as smooth as the other streaming services recommended above, but it’s not bad. We experienced a few issues where the stream lagged behind real time or the connection bugged out and the screen grew fuzzy, but those moments were fairly rare. If you have an internet speed of at least 15 Mbps, you shouldn’t run into too many issues. You know how cloud DVR usually comes built-in with streaming subscriptions? That’s not the case with Sling TV. You have to pay an extra $5 a month for 50 hours of cloud DVR storage. We hate paying extra for things, so if you’re a big DVR user, think about a different streaming service. This is where Sling TV shines. You can stream Sling TV with Apple TV, Roku, Chromecast, Xbox One, and lots of other devices. We probably lost you as soon as you read that it doesn’t carry ESPN. Still, if you like the sound of fuboTV, you can try it out with a 7-day trial and watch some local MLB baseball for free while you’re at it. How much MLB can you watch with fuboTV? fuboTV offers only one channel package, and it costs $44.99 a month for around 70 channels. Again, you won’t find any ESPN, TBS, or MLB Network with fuboTV, so we don’t blame you if you decide to skip this section now. Thankfully, fuboTV has a lot of FOX coverage, so you should be good to watch baseball from your local sports network—except for those Rockies and Astros fans with ROOT sports. Sorry buds, but you’re out of luck when it comes to local streaming. fuboTV is kind of like a young, up-and-coming player in the minor leagues. It doesn’t have quite the same pedigree as a YouTube, Hulu, or PlayStation, but you can tell it’s got tons of potential. Our team tried out fuboTV in different locations with different internet speeds, and the results were pretty inconsistent. Some of us enjoyed a smooth stream, and others experienced a super choppy stream—there was no telling what you were going to get. So for the time being, fuboTV doesn’t stream quite as well as the other services, but we think it will eventually catch up. Here’s one bit of good news: your subscription comes with 30 hours of cloud DVR storage. The bad news? You’ll run through 30 hours really quick when it comes to baseball. You can upgrade to 500 hours for an extra $9.99 a month, and compared to Hulu Live’s $14.99 for 200, that’s actually a pretty good deal. You can livestream baseball using fuboTV with Roku, Apple TV, Amazon Fire TV, and more devices. Let’s say you grew up a Cubs fan in Chicago, but life eventually brought you to Los Angeles. Back in the day, you would be out of luck if you wanted to watch the local Chicago broadcast. Not anymore! MLB.TV lets you watch the local feed for any team you want out of your market. How much MLB online do you want to watch? When it comes to pricing with MLB.TV, you’ve got two options—either get access to all teams or get access to just one. So if you’re an MLB superfan who wants to watch random games between the Mets, Marlins, Rangers, or anybody really, you can opt for the All Teams package for $115.99 for the season (or $24.99 per month). Along with getting access to every out-of-market regular season game, you also get around 300 Spring Training games. You will have so much MLB to stream. For those of you that are married to one team and aren’t really interested in checking out the other matchups, opt for the Single Team package for $89.99 per season. You can watch all the out-of-market regular season games live or on demand. You’ll need to do some soul searching to see if you want to watch just your team or the entire MLB online. Just to reiterate, MLB.TV blacks out most nationally televised games and all your in-market games. So if you live in Philadelphia and want to watch the Phillies, you definitely shouldn’t use MLB.TV. But if you’re a Phillies fan living in San Diego, then MLB.TV was made for you. How can I stream the MLB online with MLB.TV? MLB.TV does a great job making the service accessible across most streaming devices. You can watch the MLB with Roku, Apple TV, Chromecast, and more. If you’re having trouble watching your local regional sports network, you can always fall back on the old antenna. Thankfully, antennas have evolved since the days of rabbit ears—they can broadcast in HD but also don’t look like an eyesore hanging out on top of your TV. What antenna should I get to watch the MLB? If you do a quick search for antennas on Amazon, you’ll be drowning in antennas to choose from. Don’t worry, we’ve already tested out quite a few different antennas, and we’re partial to the Mohu Leaf 50. Speaking to our own experience, it provides a really smooth watching experience. Our Mohu Leaf 50 easily picked up the signal and broadcasted an HD-quality picture. If you want to learn more about antennas, check out our best TV antennas guide for 2018. Can I watch the MLB live stream with an antenna in my area? Good question! Antennas may have improved over the years, but your location still matters when it comes to picking up a strong signal. Before you decide to watch the MLB with an antenna, make sure to enter your ZIP code here and see what channels you’ll pick up in your area. The 2018 MLB is about to start, and it’s time for you to decide how you’re going to watch it. The beauty of baseball is that every season is full of surprises. To be honest, we had no idea the Astros were going to win the World Series last year (*cough* Some of us were pulling for the Dodgers *cough*), and this season promises to be just as exciting and unpredictable. Have any more questions about streaming the MLB like how to watch the All Star Game? Let us know in the comments below, and we’ll hook you up with what you need to know.